Recessed lighting, also referred to as downlights, are lights that are usually fixed into ceilings, creating a calm and relaxing atmosphere into any room. The use of several recessed lights can create an illusion of space, making the room appear to be wider. 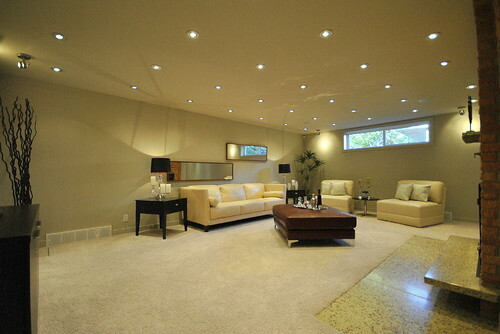 If you want a room to have a clean, elegant, and contemporary look, recessed lighting is the way to go. In planning to install recessed lights or downlights in your home, it is important for you consider their housing. The housing is the main component of a downlight, housing the electrical parts such as the lamp. It also allows the downlight to be attached to the ceiling, and serves as the platform to which the trim is mounted. The trim is the visible structure, comprising of the trim itself, trim ring, and optics. The trim ring is the part that covers the seam between the housing and the ceiling. Optics refer to lenses , reflectors, diffusers, and eyeballs. It is important to know the size of the housing that will fit in your ceiling. There are joists inside the ceiling – these are pieces of steel or wood that are comparable to studs in a wall, but these are laid horizontally. The can recessed lighting will be mounted between these joists. There is a vertical distance between the ceiling and the roof interior called the plenum, and this determines the size of your housing. Generally, residential recessed light fixtures are available from 4 inches to 7 inches in diameter. Always consider how far your ceiling is from where you want the light, as well as the size of the room. For an 8-foot ceiling, a 4-inch fixture will be able to provide adequate kitchen countertop lighting, while a 6-inch downlight at the same height can very well illuminate your breakfast table. For a 10-foot ceiling, a 4-inch fixture is recommended, as the light will spread out better. A 7-inch fixture will be an excellent wall washer for an 8-inch ceiling. 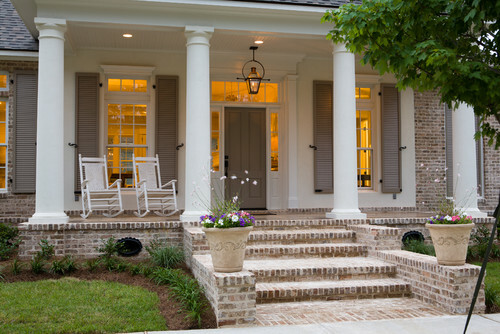 You will also need to know whether you should use a “New Construction” or a “Remodel” style housing. A “New Construction” housing is larger than a “Remodel” style housing and is installed between joists or on hanger bars from drop or T-bar ceilings. It is used when installing a downlight in a new space where there is complete and unobstructed access to the wall, ceiling, or floor or when you have access to a space because of an overhead attic or a pop out ceiling panel. On the other hand, a “Remodel” housing is slimmer than a “New Construction” housing. It is used when there is either limited or no access to the space above the new fixture, such as in houses that have no crawl spaces or attics and also in apartments. It is equally important to know the difference between IC and Non-IC rated housings. Aninsulation contact rating or IC rating means that the fixture can come in direct contact with thermal insulation. On the contrary, a non-insulation contact rating or Non-IC rating means that the fixture cannot come in direct contact with thermal insulation. There should be a distance of at least 3 inches from any insulation. Dry Location Rating means that the fixture may be used in any area. This is usually for indoor use, with no direct exposure to excessive moisture and water. A Damp Location Rating is for fixtures that may be used in protected outdoor areas, such as those that do not have direct exposure to excessive moisture such as rain or snow. Wet Location Rating is for lighting fixtures that are appropriate for outdoor locations which have direct contact with excessive moisture, rain, or snow.